If you are considering to buy a new lionhead rabbit you should follow a few simple guidelines that will help you select the rabbit that will suit you the best. A simple how to select guide is shown below. Let’s say you have made up your mind and chose to purchase a lionhead rabbit out of the many available rabbit breeds. If so, please keep in mind the following guidelines that were created with the help of experienced lionhead rabbit owners when buying one. First Step: Make sure that you know exactly what type of rabbit you would like to purchase. Ask yourself the following questions, do I want a lionhead bunny or a full-grown rabbit and am I looking for a doe (female) or a buck (male)? Second Step: After you made up your mind you can advance to step two and try to obtain more information about this amazing rabbit breed. It is recommended to start your journey online. This website can be of assistance in order to learn about the breed, the available colors and the care they need. There are however also plenty of other websites. Third Step: Did you decide what color’s/varieties you like the most? Then it’s time for the next important step; determining where to buy your new lionhead rabbit. There are several suitable options, e.g. you could buy your rabbit from a local pet store. The downside is that it is most likely that the pet store is not specialized in this breed and therefore can’t provide you with the essential background information. Another option is to visit a special shelter for rabbits. By doing so you will help a lonely lionhead. 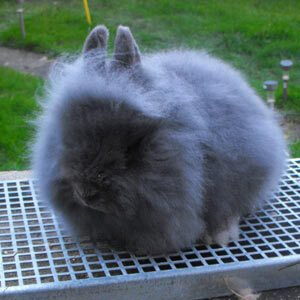 The best alternative is however to visit a specialized and respectable lionhead rabbit breeder. A breeder can provide you with a lot of information and most likely raised the young bunnies with great care. They can also assist and educate you in how to care for your newly purchased rabbit. For a complete list within the United Kingdom and the United States please see our breeder’s page. When you pay a visit to a breeder make sure you have prepared some related questions. Please also keep in mind that it is not recommended to buy from a regular person who happens to sell his rabbit. It might occur that the rabbit has some diseases, or he is in a bad shape and the owners therefore want to get rid of it. Fourth Step: Look for references. If you decided to buy from a professional breeder you should start examining their references. You can do so by simply googling their names and when available check their Facebook pages. Moreover, Search for reviews, comments that were posted by others. It will help you create determine whether a breeder is trustworthy and meanwhile you will learn about the lionheads they have available. If a breeder is a member of either the BRC or the ARBA/NALRC this improves their trustworthiness. Fifth Step: Pay a visit to either a breeder or a pet store. It is very common to make an appointment with a breeder instead of just dropping by. As mentioned, make sure to prepare several questions you wish to know before selecting the rabbit of your choice. Sixth Step: Determine which rabbit to select. Besides their color/appearance which you already chose you should also pay extra attention to their health. How to check their health status? If a particular rabbit smells in a nasty way he might have some serious health concerns. In addition, their fur and ears and mouth should be clean as well. Seventh Step: Decide which one suits you the best. Congratulations, you are one step away from selecting your newest rabbit friend. If selecting out of multiple equal candidates choose the one that shows the most social signs towards you and the other rabbits. Although you might feel sympathy for a rabbit that is somewhat skittish you might start to regret it after purchasing since these rabbits are less likely to become social pet rabbits. Good luck! If you have any tips/remarks or suggestions to these 7 Guidelines please let us know. All kinds of feedback is highly appreciated. 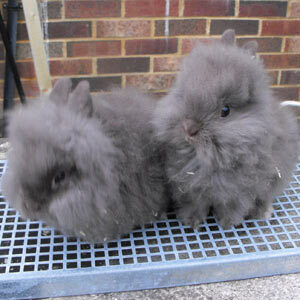 I am looking to buy a pair of Lionheads, i love rabbits. I had mini lops, never lionhead. I recently visited pet store in Lancaster. Found 2 toffee colored ones for 45.00 each with 20% off coupon. I am wondering if good to buy from pet store. All mine werent healthy i bought from them. I have had 4 in my life time. Please respond 717-880-6397 asap. I woukd like to tslk with you. I live in York, Pa. Where are you located? Thank you. They would have a good home. I would like to purchase a baby lionhead dwarf. Any color is fine as long as it’s healthy. I am interested in getting a Lionhead rabbit and would like to get in contact with you. Thank you!